Congratulations on the birth of your daughter, Nord! This is a truly auspicious time for you — and so it is with great sadness that we must lodge a formal complaint against the song “I am a God” from your new album Yeezus. Assuming you, as a man of means, dine exclusively at high-end restaurants and boulangeries during your voyages to Paris, it could not be possible that the delay of your “damn” croissants originated from slow service. And certainly, you are not a man to be satisfied with pre-made croissants from the baked goods case reheated and tossed out on a small platter. No — you had demanded your croissants freshly baked, to be delivered to your table straight out of the oven piping hot. And it was with great joy you ordered croissants — not crêpes or brioches — because only croissants can proudly claim that exquisite combination of flaky crust and a succulent center. The croissant is dignified — not vulgar like a piece of toast, simply popped into a mechanical device to be browned. 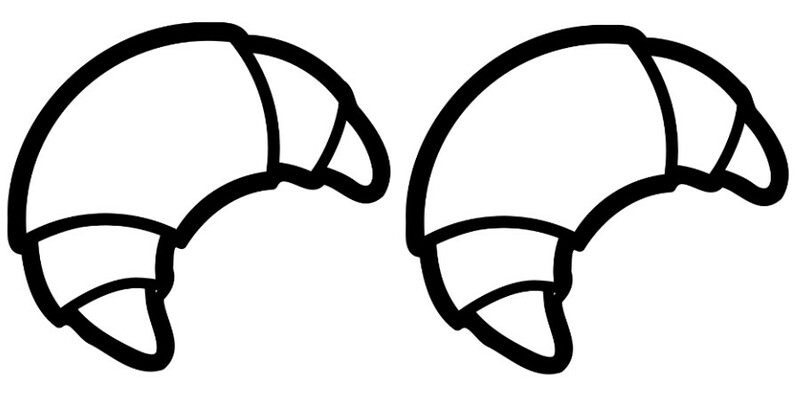 No — the croissant is born of tender care and craftsmanship. Bakers must carefully layer the dough, paint on perfect proportions of butter, and then roll and fold this trembling croissant embryo with the precision of a Japanese origami master. This process, as you can understand, takes much time. And we implore the patience of all those who order croissants. You may be familiar with the famous French expression, “A great croissant is worth waiting a lifetime for.” We know you are a busy man, M. West, but we believe that your patience for croissants will always be rewarded. We could easily let this water pass under the bridge, as they say, but we take your lyrics very seriously. From the other lines in the song, we have come to understand that you may in fact be a “God.” Yet if this were the case — and we, of course, take you at your word — we wonder why you do not more frequently employ your omnipotence to change time and space to better suit your own personal whims. For us mere mortals, we must wait the time required for the croissant to come to perfect fruition, but as a deity, you can surely alter the bread’s molecular structure faster than the speed of light, no? And with your omniscience, perhaps you have something to teach us about the perfect croissant. We await your guidance and insights.